Police are investigating the death of the 62-year-old, who had been staying with his wife at the hotel. 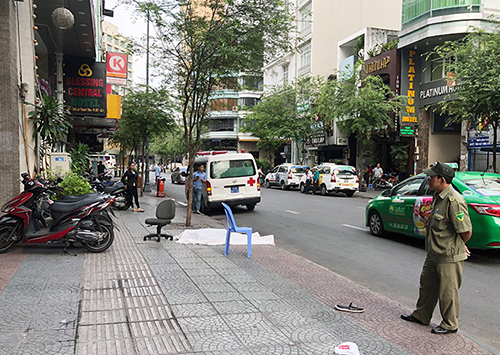 An Australian man died after falling from the fifth floor of a hotel in Ho Chi Minh City's District 1 on Sunday morning. The 62-year-old had been staying at the hotel with his wife for two days, police said. Local people near the crossroads of Truong Dinh and Le Thanh Ton said they heard a loud noise and saw a foreign man lying on the pavement. Ho Chi Minh City police are investigating the incident.